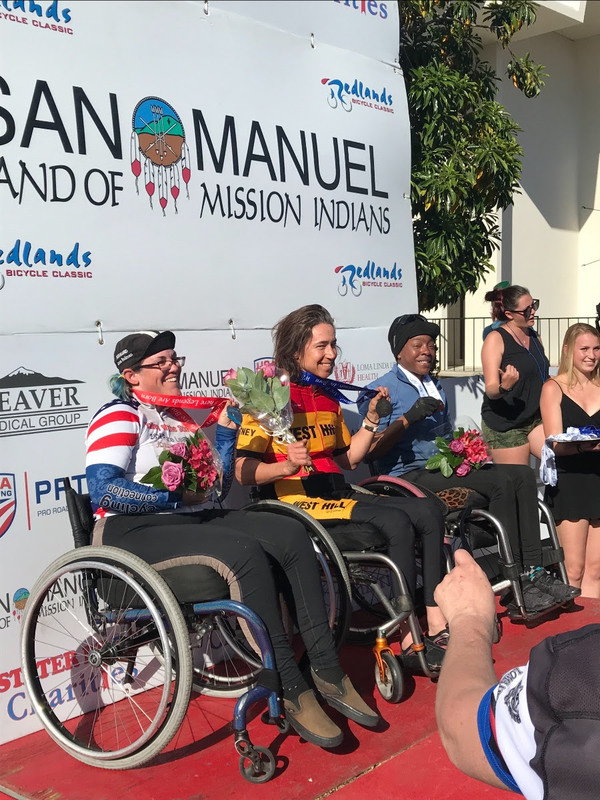 March 17, 2019 (Redlands, CA) – The crowds turned up in downtown Redlands, under sunny blue skies, to cheer on the para-cyclists for the final day of racing in the PossAbilities Para-cycle Race Series. Stage 4 was the final chance to score points towards the omnium competition. The atmosphere filled with the support from cycling fans, made for ramped up speeds. Multiple world champions and paralympians were in the field, including 12 veterans. 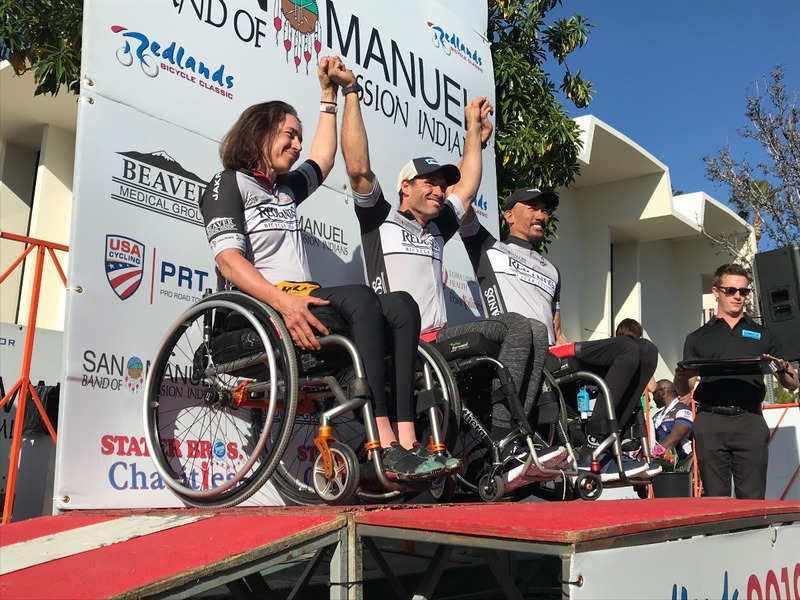 Athletes in different categories with the desire to improve their speed and fitness, attempted to keep up the pace in hopes of increasing their own chances of one day making it onto the U.S. Paralympic team. Cyclists throughout the field worked together, drafting off each other and taking turns pulling at the front. A brief crash occurred 11 minutes into the race but thankfully, both cyclists were able to rejoin the field in a short amount of time and continue racing. Due to the warm weather, many racers kept cool with “ice socks” (pantyhose filled with ice) tucked around their bodies and volunteers spraying them down mid-race with water. The race series also attracted a number of women, competing in the omnium throughout the week. The Nexus Endurance/ Challenged Athletes Foundation team is an all-women’s team that brought five athletes to the race this year to join the other three women racing for Roger C. Peace and Team PossAbilities. 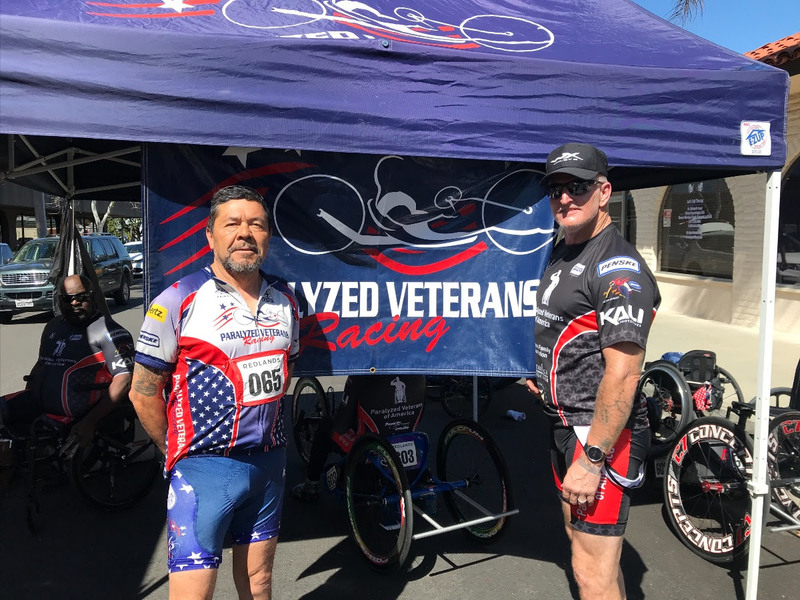 Emmanuel “Manny” Herrera of Paralyzed Veterans Racing Team in the Recumbent category was very glad to be back racing in Redlands this year. “This is my sixth or seventh time racing Redlands and I’ve fallen in love with it,” Herrera said. “I like the venue, I like the course!” Manny could be seen pumping up the crowd as he passed under the start/finish banner throughout the race. “I’d see people just watching us go by and be, like, this ain’t Nascar! Make some noise!” And make some noise they did! This year marks Pedro Payne’s eighth year with PossAbilities, the organization behind the para-cycling event. PossAbilities is supported by Loma Linda University health and provides challenged athletes with the equipment they need to complete in a variety of sports. This year marks Pedro’s last year with the organization, making Sunday a bittersweet day for him. Congratulations to all the stage winners and omnium winners for the PossAbilities Para-cycle Race Series in conjunction with the 35thRedlands Bicycle Classic. 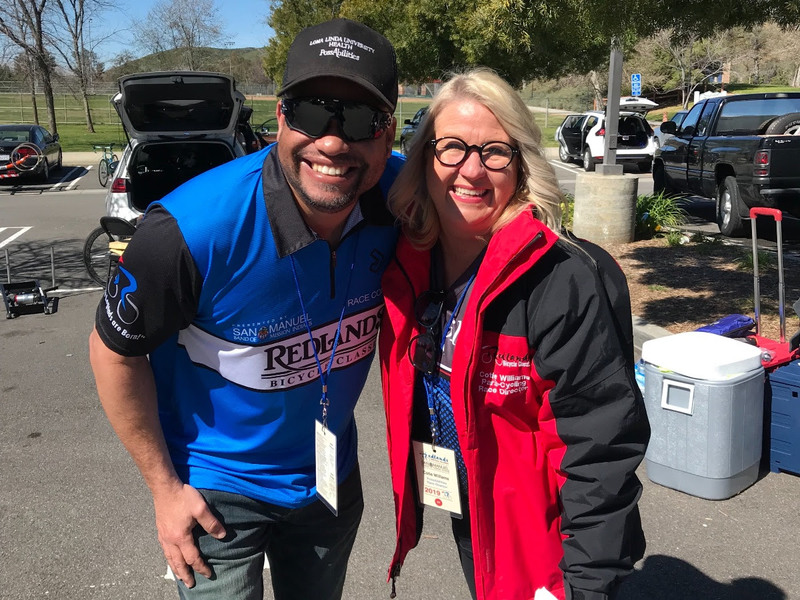 Pedro Payne (Race Announcer) and Cotie Williams (Race Director) of PossAbilities.